Looking for an alternative to a stick-built home or a modular? A pole barn home may be a good fit for you. 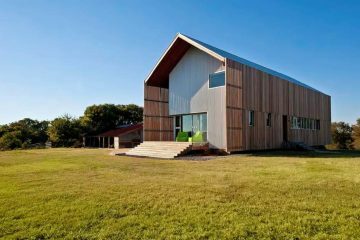 With affordable prices and modern designs, you’d never know the difference between a conventional home and a pole barn home. Before you dive in and start building, it’s important to educate yourself on this type of home. 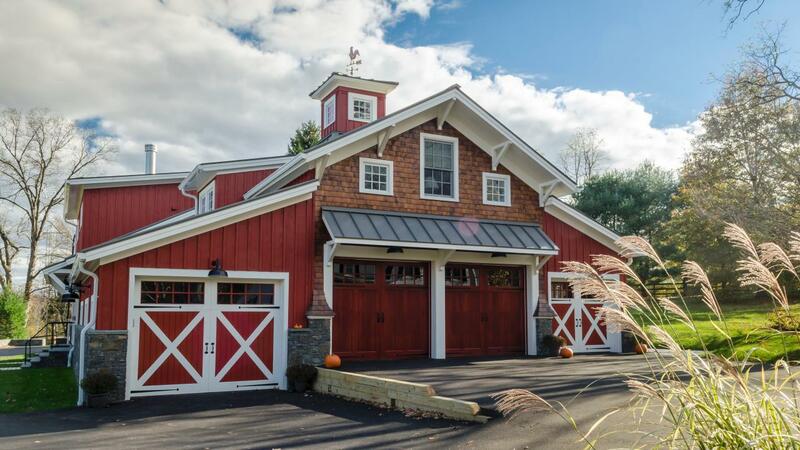 Our in-depth guide will help you understand what a pole barn home is, how it’s built, how much it costs and where to find kits for sale. 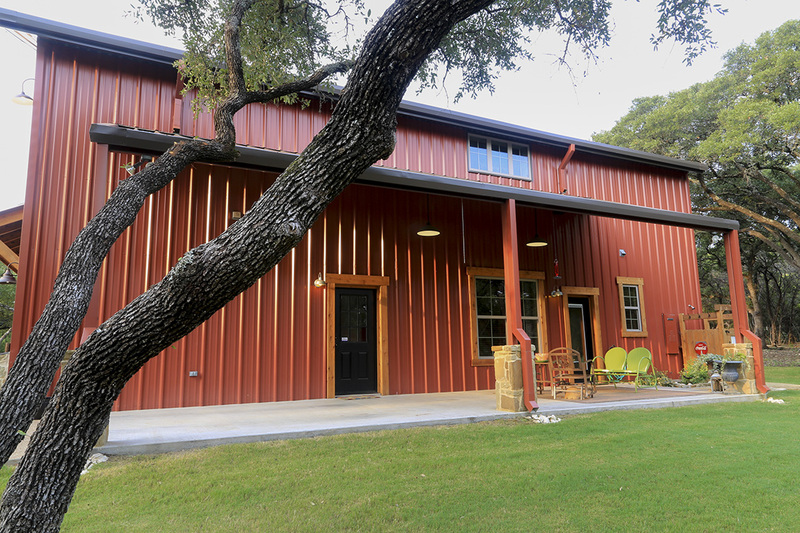 What makes a pole barn home different from a conventional home? To understand the difference, you need to understand what pole barns are in general. As you may have guessed, pole barns are traditionally agricultural buildings. They served as affordable buildings for farmers to store their equipment. The main difference between a pole barn and a conventional home is that it doesn’t have a foundation. The structure consists of aluminum or steel panels that are supported by poles driven into the ground. Technically, most modern pole barns fall into the metal buildings category. These structures are easy to build, and their metal exterior makes them highly durable. Over time, farmers expanded on the uses for this building type. Some had a pole barn with living quarters. Others took it even further and built their entire home in the pole barn style. Most of these early versions evolved from traditional wood materials. Pole barn homes look just like any other home, but they use poles instead of a foundation. 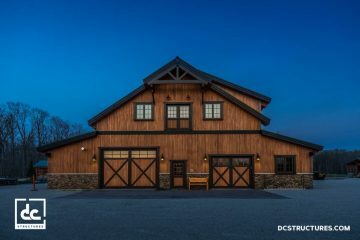 Just like with a conventional home, there are a number of floorplans to choose from when looking at pole barn homes. Many have open layouts with large windows to make the space feel bigger. There are many benefits to building a pole barn home. The most obvious benefit to building a pole barn home is that it’s far less expensive than a stick-built home. Pole barn homes require less building material, and they don’t have conventional foundations, which can be costly. Construction is simple, so you’ll save money on labor if you hire a contractor to build the home. Pole barn homes have open floorplans, which make them extremely versatile and easy to customize. They also feel bigger and more open because there are few interior walls (if any). That allows you to take advantage of natural light through windows, and enjoy more space to entertain or relax. Unlike a stick-built home, pole barn homes have no load-bearing walls. That means you can do just about anything you want with the interior of the home. You’re only limited by your imagination when it comes to customizing your home’s interior. 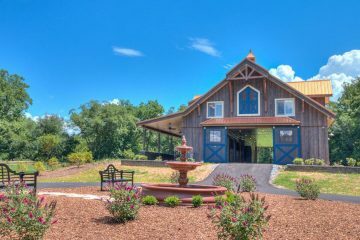 How Much Does It Cost to Build a Pole Barn Home? One of the main advantages to building a pole barn home is the cost savings. Pole barns are significantly cheaper to build than other construction methods. Why? Because the building requires fewer materials. The supporting poles are typically placed 10′ to 12′ apart. It’s not always easy to estimate the cost of a stick-built or modular home, but pole barn homes are much easier to estimate. There’s no foundation to worry about, and the materials are easy to price. Pole barn plans and prices are readily available, so you know exactly how much you’re going to spend on the structure. The only real variable costs are customizations and site prep. Kits can be purchased with all of the materials needed to build the structure. These start at $5,000-$10,000 for a smaller structure, and $8,000-$30,000 for larger kits. Many manufacturers have a pole barn cost estimator to give you a general idea of how much the structure will cost. But what about the extra costs of site prep and finishes? Because these costs are variable, it’s important to set a budget and make sure that your kit accounts for a certain percentage of that budget. Experts recommend allotting one-third to one-quarter of the final budget on the kit. For example, if you had a $200,000 budget, you should look for a kit that costs between $50,000 and $66,000. 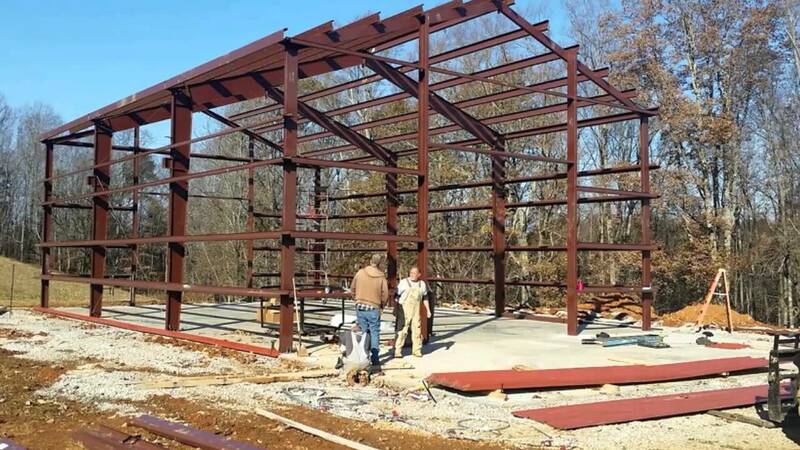 What is the Process of Building a Pole Barn? Pole barn homes typically come in kit form, which means you’ll need to handle the construction process yourself. You can take the DIY approach and build it with your own two hands, or you can hire a contractor to do the work for you. There’s no right or wrong way to go about building a pole barn structure. It’s more of a personal preference and budget concern. If you have the time and skill, you might consider building the structure yourself. Many manufacturers offer free shipping if you’re within a specific delivery area. What Is The Build Process Like? 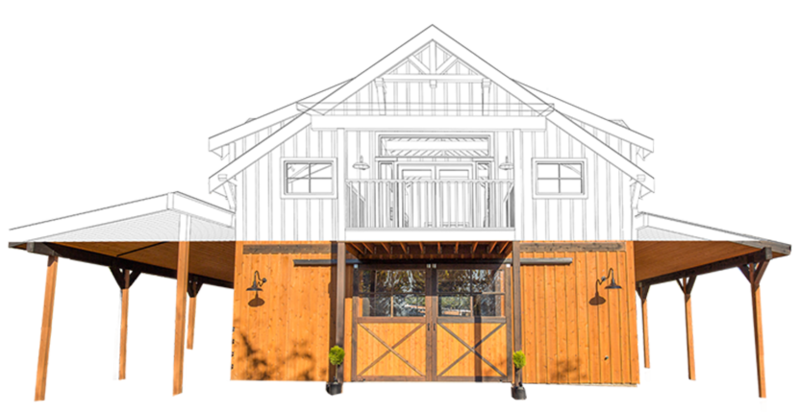 Each pole barn kit comes with a set of blueprints that tell you exactly how to assemble the structure. Every page should include detailed instructions on how to construct the home, so there’s no guesswork involved. The first step is to prepare the site for building. Start by clearing the area (if necessary), removing trees and anything that would prevent you from erecting the structure. At this stage, you’ll want to lay all of the electrical connections as well as the plumbing. This will also mean digging a well and putting a septic in place, or it means connecting to the city’s systems. Next, you’ll want to put the foundation framing in place, and put the main supporting poles in place with footers below the frost line to prevent cracking. Once the supporting poles are in place, you’ll need to prepare the reinforcing bars that will add strength to the slab foundation. The next step is to pour the slab. Pole barns are not like conventional homes. The supporting beams must be put in place first before you can pour the concrete slab. The poles actually become part of the foundation, instead of just being attached to it. This method makes the home structurally sound. The next step is to add the framing. Attaching the framing to the poles. Screw or nails can be used, but screws may add strength. At this stage, the pole barn’s framing is just like what you’d find with a conventional home. The only difference is that the home is attached to the poles instead of a traditional concrete foundation. Next is the roof and siding. Attaching these two components is relatively simple and straightforward. Once you have the siding and roof in place, the exterior of the home will be nearly finished. You’ll also need to install the windows and doors. The next step is to build the home’s interior walls. At this stage, the home is really coming together and should start developing quickly. The great thing about pole barn homes is that you can place the walls wherever you want. Unlike with a conventional home, none of the walls are load-bearing. You’re free to make the rooms are big or as small as you want. Alternatively, you can simply leave the space wide open. The only concern is that some of the walls will need to match the electrical and plumbing connections. Keep in mind that these are just the six basic steps needed to build a pole barn home. Your home may be more complex to build if you choose a larger kit. Even so, the general idea is the same, and the building process should be relatively simple and straightforward. Most people will spend 10-15% of the total cost of the project on an architect to design the interior of the building. Kits also do not include the cost of hiring a general contractor, which usually accounts for another 10-15% of the overall cost of the project. One of the most important (and biggest) decisions you’ll have to make during this process is whether you want to hire a contractor, or build the home yourself. Either way, you’re going to pay for these items. If you have the time and skill to build the structure yourself, you can at least find the best prices for these products. With a contractor, you will be at the mercy of their suppliers. The DIY approach also allows you to move at your own pace and customize your interior to your liking. The main issues with going this route is that it will take more time. Building may also be a challenge if you do not have the skills or experience. If you have no experience with electrical or plumbing, it may be difficult or dangerous to do this part of the project yourself. With that said, you can always hire an electrician and a plumber to take care of these tasks, while you build the rest of the home yourself. There are also advantages to hiring a contractor to build the home for you. The most obvious benefit is time-savings. A contractor will take care of the building for you, so you can focus on other things. If you don’t have the knowledge or skill to build the home on your own, hiring a contractor is probably the least-frustrating option. Yes, you can build a pole barn home on your own even if you’re inexperienced, but you should be prepared for challenges. It’s certainly not as difficult as building a conventional home, but it will still be a learning process. With that said, there are some drawbacks to hiring a contractor. The main issue is cost. Hiring a professional comes at a cost, and depending on their skill level and your location, that additional cost may be significant. It may also be difficult to find a reliable builder. Some manufacturers have a network of trusted builders that they connect you to when you’re ready to build. Before you start looking for kits, you may want to decide whether you’re going to build yourself or hire someone to do it for you. Once you’ve figured this out, you can start looking at manufacturers. Who Makes Pole Barn Kits? There are many manufacturers of pole barn kits, and you can find them just about anywhere online, including eBay. While it may be tempting to buy the cheapest kit you can find, it’s important to research the manufacturer before buying. Finding a reputable company is crucial. Remember: You’re going to live in the home, so you want it to be well-built. You don’t want to cut corners when you’re building your home. Pioneer Pole Barns is a one-stop-shop for pole barns. The company is a leading builder of post frame structures in NJ, PA, WV, MD, NY and VA.
All of the buildings provided by the company are made to withstand winds of 90 MPH or more. The company has an A+ rating with the Better Business Bureau, and all quality control inspections of buildings are conducted by PPB. The great thing about Pioneer is that they provide estimated prices for their buildings. While these are just ballpark estimates, they give you a general idea of how much the structure will cost. Pioneer offers financing through Wells Fargo and requires a 30% deposit at the time of the contract signing. Pioneer’s website also allows you view your options for overhead doors and colors. The primary issue with Pioneer’s pole barns is that you’d have to get creative with your plans. The company doesn’t actually offer any home plans, but you can convert one of the buildings into a home with relative ease. Mueller, Inc. has been in business for more than eight decades. The company started out as Mueller Sheet Metal Company with its headquarters in Ballinger, Texas. At the time, the company provided water cisterns to ranchers and farmers. Over the years, Mueller expanded its offerings to include other building-related sheet metal products. Burly Corporation purchased the company in 1984, and Mueller experienced rapid growth. Mueller’s headquarters is still in Ballinger, but the company now also services the entire Central and Southwest United States. They have 33 locations in New Mexico, Texas, Oklahoma and Louisiana. The great thing about Mueller is that they actually offer pole barn homes as part of their Homestead Series. All of the company’s buildings are bolt-together structures. This means that holes are punched into the metal, and bolts are used to build the framework. The bolt-together method makes it easy to construct the building. Extra options, including: insulation, designer colors, gutters, etc. Mueller can help connect you with lenders for your new pole barn home, and the company makes the ordering process as simple as possible. Once you have a building in mind and you’re ready to order, Mueller will send you a purchase agreement. A 25% deposit will be required at this time. The final payment will be due at the delivery of the building. Mueller accepts checks, cash and credit cards. Mueller will ask about the details of your project, including where the structure will be located, what you will use it for, and other important details. This information will help ensure that the building is designed to withstand the elements. Dead: The weight of the structure itself. Live: Temporary forces applied to the building, like workers’ tools, rain falling and debris. Snow: Measured in pounds per square foot. Wind: Measured in miles per hour. Buyers must supply the correct wind load for their area. Wind load can range anywhere from 80 MPH to over 140 MPH, depending on the location. You will be in charge of finding a qualified erector in your area. Mueller recommends scheduling the construction of the building several weeks in advance, so work can get started as soon as the building is delivered. Next, the building will be delivered and constructed by the professionals you hired. It is the buyer’s responsibility to verify all of the materials received upon delivery. Mueller is pretty transparent about their pricing, and they also have a free quote page. Buyers can also request a catalog right from the website. Morton has been in business for more than 100 years. They offer high quality material and one of the best warranties in the industry. 50-year warranty on snow load, treated columns, decay and concrete columns. 20-year warranty against red rust. 35-year warranty on paint against peeling, flaking, color change and chalking. 5-year warranty on wind load, roof leaks and AlumaSteel sliding doors. 1-year warranty on workmanship and materials. Another advantage to choosing Morton is that they take care of everything. As part of their Project Delivery System, Morton constantly evaluates the budget against the project scope to make sure that everything is on the right track. 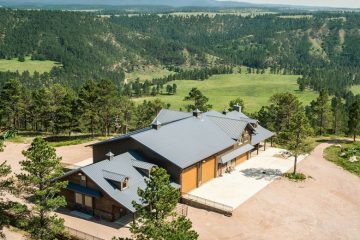 Like Mueller, Morton offers a series of Home and Cabin plans that look just like conventional homes. Their buildings have open floorplans, which allow for maximum flexibility when designing your home. The company offers custom financing programs for residential buildings, including homes. Farmers can lease buildings through the company, so a wide range of financing options are available. The company has offices in most states. The only complaint (and it’s not a major one) is that you can’t easily view pricing online. Morton pole barn prices vary, so you’ll need to contact the company. 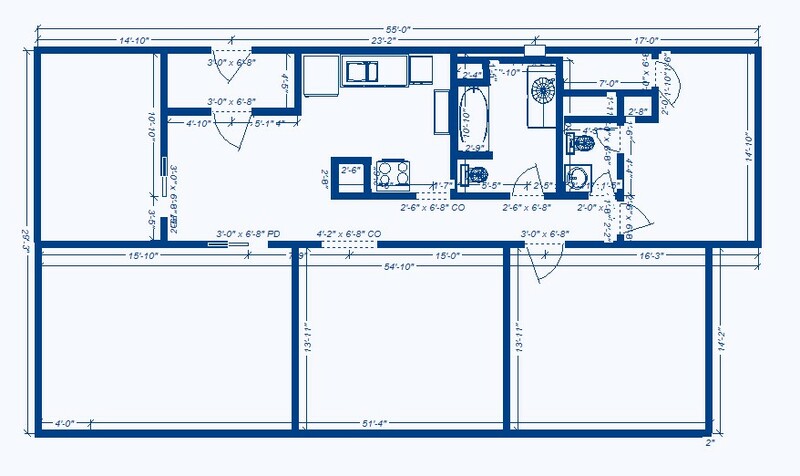 You can’t view floor plans either, as buildings are mostly custom designs. Pole barn kits can be purchased directly from the manufacturer, or online. It’s best to work directly with the company who makes the kits to ensure that you’re getting high quality materials. Some manufacturers will also work to construct the building for you. While you can buy kits through eBay and Craigslist, you’re taking a risk because you have no way of knowing the quality of the material until it’s delivered to your site. (when it’s too late).